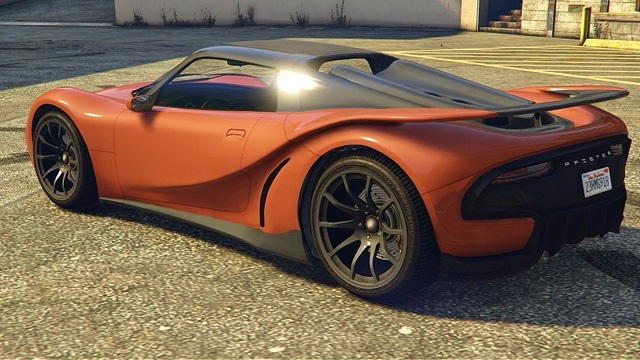 The Pfister 811 is a supercar featured in GTA Online as part of the continuation of the Further Adventures in Finance and Felony update. The supercar is mainly based on the Porsche 918, seen prominently in the overall body shape, front curvature, and rear engine bay cover, while the rear fascia and rear lights are based on the Koenigsegg Regera. The name “811” is clearly a pun on the Porsche 918 and Porsche 911. On the rear of the car, curved rear lights are positioned below the rear duct with the manufacturer labeled in chrome writing in between them. Beneath is a 6-bladed carbon-fibre diffuser which is positioned in between the two rear quarter panels which curve from the sides of the vehicle. The entire rear fascia is based within an inset arche finished in carbon fiber. The inset design is similar to that of the Lampadati Furore GT. The Pfister 811 performance well on the whole. Given a light body weight, all wheel drive, and great aerodynamics, the car has extreme acceleration, beating almost all motorcycles and supercars. 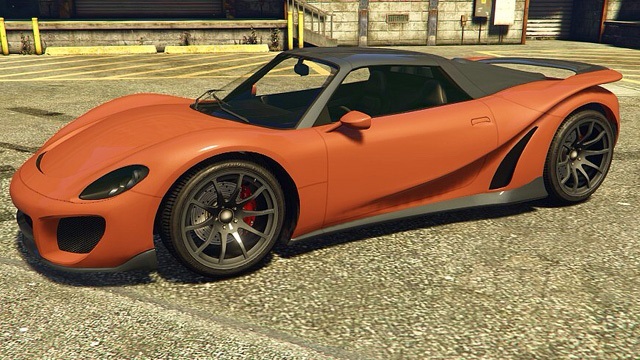 According to files, the vehicle’s the top speed is on par with the Progen T20, being the joint-third fastest car in the game (according to raw data in the files). In reality, when observed it is seen to be even faster than the Bravado Banshee 900R, Grotti X80 Proto and Truffade Adder. The Pfister 811 also has nippy handling, allowing the car to corner quickly, however at high speed, the car suffers severe understeer, and braking too quickly sometimes causes the back end of the car to slip out. Grilles, skirts, spoilers, diffusers and splitters.